E-audiobooks and downloadable magazines are available to you free with your library card through RBDigital. Apps are available for iOS, Android, and Kindle Fire devices. Here are some tips to help you make the most of the RBDigital app. Rather than downloading each checked out title individually, the Download All function in the app lets you download all checked out titles with one tap. From the menu, select CHECKED OUT. 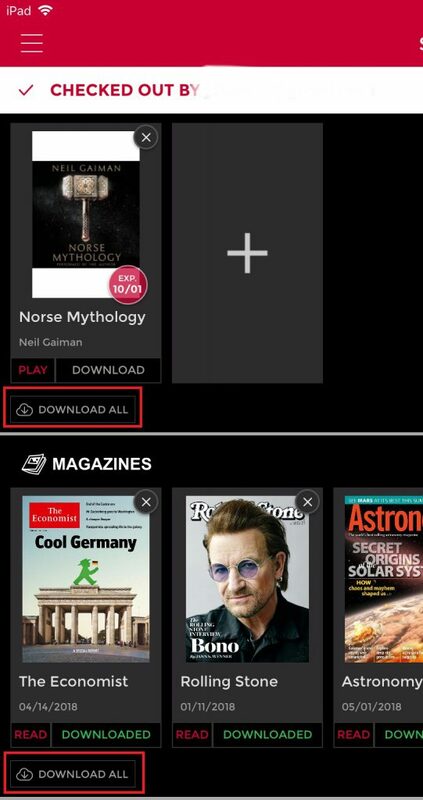 Then, tap the DOWNLOAD ALL button to download all checked out titles in the audiobooks or magazines carousel so you can access them offline. 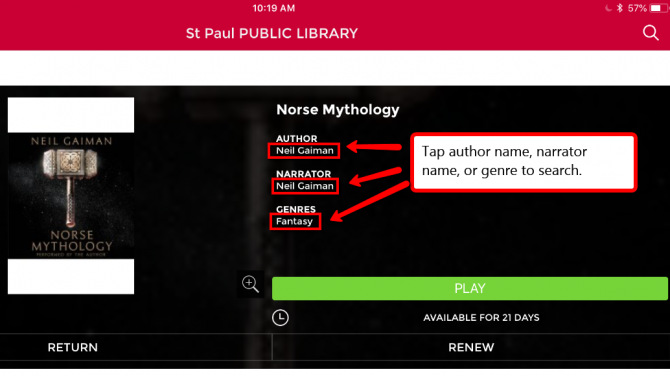 View more titles from a certain author, narrator, genre, or series with easy, one-click hyperlink search in the app and browser. Select any title to open its detail page. Then, click on the author, narrator, genre, or series name to display search results matching that selection. If you are searching for something specific in the app or browser, use Advanced Search to find what you’re looking for more quickly than by narrowing the results. For example, search by genre to browse holdings without knowing the author or title. 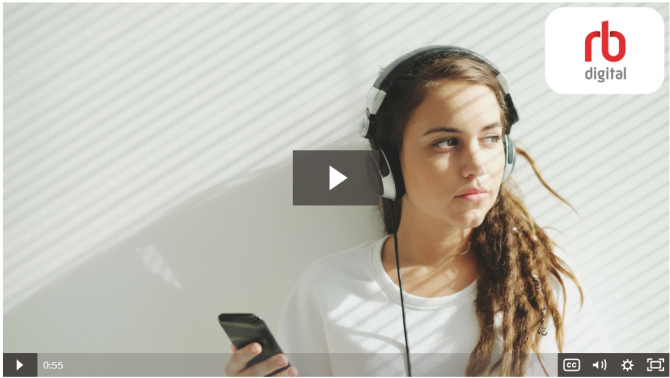 From the menu, select audiobooks or magazines and click VIEW ALL to display all results for that format. Then, tap FILTER to enter advanced search criteria. To start using RBDigital, register and create your account on SPPL's RBDigital website. Download the RBDigital app to your mobile device or desktop computer. After you have registered, log in to the RBDigital app using the username and password you created.